One of the best Batman stories of all time, is easily The Dark Knight Returns. One of the most batsh** crazy Batman stories of all time, is the sequel series The Dark Knight Strikes Again. And that’s a fine line which will most likely be crossed when the Batman returns yet again in The Dark Knight III: The Master Race. 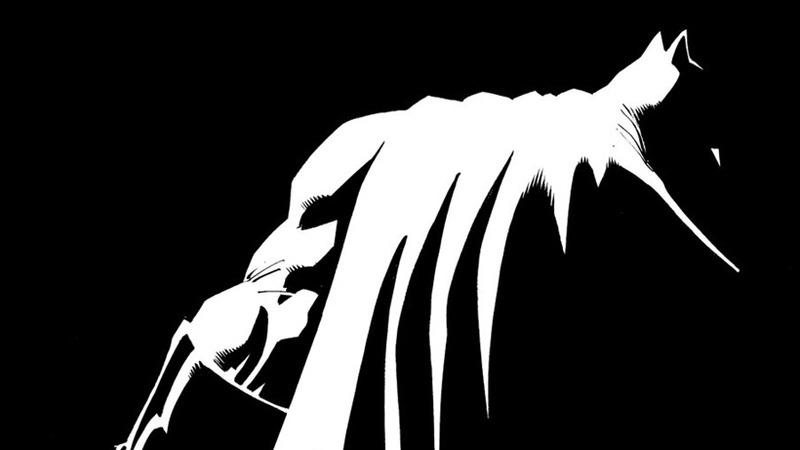 It’s another sequel that see’s legendary writer Frank Miller return to the goddamn Batman universe, alongside the iconic Klaus Janson and primary artist Andy Kubert. Frank Miller drew the original Dark Knight comics, but he won’t be that active in the art department, with Kubert handling that job instead. And that’s a team that gets one another, as DC Comics co-publishers Dan DiDio and Jim Lee explained to CBR. “There was a comfort from Frank, working with Andy,” DiDio said. More importantly, Andy really got into the headspace — the design aspect, the look, what he brings to the material, will be essential to the storytelling. It’s not that Andy will be imitating Frank’s work; he’s really bringing his own style to the work. But he’ll be working very closely with Frank on the storytelling, which I think is important, because it will capture the essence and the energy of it. The other exciting thing is, we’ll also be bringing guest artists in, in every issue. 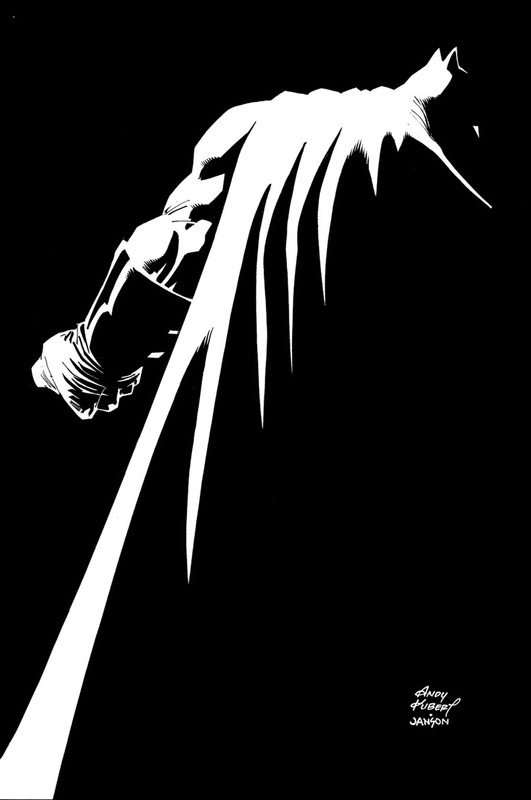 More information will be coming, but the goal is to really have this be a true celebration of “Dark Knight.” This is the conclusion of a trilogy, and we want to elevate it to the nth degree. I can’t stress importantly enough — Frank will also have interior pages in the books, and he’ll also have covers, as well. “Andy’s a great storyteller, he’s got a dynamic art style, he is a professional through and through,” Lee added. On a big project like that, you need someone that’s got all three of those abilities. When you say “go-to guy,” it’s because he has these amazing tools. The other great contributor is going to be Klaus Janson. I was going to say he’s an inker’s inker, but he’s really an artist’s artist. He’s a guy that’s kind of transcended inking — he’s penciled, colored. People really understand that when he works on a project, what he brings to the inking is more than just bringing the pencils to life. He’s adding textures, and making all sorts of artistic decisions. Having that connection to the original volume brings a nice bookend to the overall trilogy, and unites the project in a way, aesthetically, that it wouldn’t without his presence. That’s part of the goal for this. The way this story breaks down is, there’s an overarching story that’s told throughout the series. So many of the characters that Frank has introduced during the course of “The Dark Knight Returns” and “The Dark Knight Strikes Again” will be brought back to the storytelling, and they’ll be integral to the main story, and go off on separate adventures that are tied very tightly into what’s happening in the main series. If you were into comics in the 1990s, chances are high that you ran across Andy Kubert’s brilliant art for Marvel back then. He’s one of the best artists in the industry today, thanks to some dynamic art and a timely work ethic. It’s not the first time that Kubert has taken a crack at Batman, as he helped introduce Damien Wayne to the dark knight comics with writer Grant Morrison in the 2000s. By the way, those comics feature art where Batman fights an army of ninja Man-Bats. Well worth checking out.